The success of every adult begins with the first eight years of their life. It’s critical during those years that each child develops socially, mentally and emotionally. This isn’t an assumption made on anecdotal evidence – this is a fact, based on many decades of research from early childhood organizations like the National Institute for Early Education Research (NIEER) and the National Association for the Education of Young Children (NAEYC). Studies throughout the years show the effects of real early-learning experiences in children’s lives. Researchers are not the only ones to advocate the benefits of early childhood education. Families, educators and politicians have all honed in on preschool as a viable way to invest not only in the future of America but also to help improve early childhood social development. While the benefits of preschool are well-known, many parents are hesitant to place their children in schools with a focus on infant or toddler curriculums. Some feel it’s too early based on their child’s age or developmental milestones. Other hold off on school enrollment until kindergarten because they feel like their child may not be ready for a school environment. According to Zero to Three, a child’s brain undergoes great change before they even enter kindergarten. 700 new neural connections are formed every second – and that’s before your child even turns three! 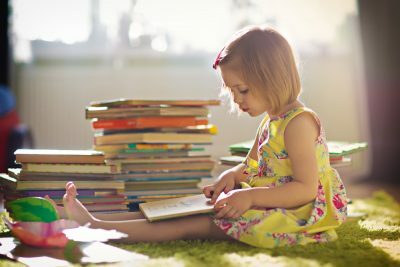 By the time a child enters kindergarten, their basic cognitive skills, which are the foundation for math, science, reading, and other academics, are already quite developed. By this time, kindergarten teachers expect students to have basics for social growth, like following the rules, controlling their motor skills, impulse control and simple problem solving. The first five years bring an explosion of mental activity that’s more profound than any other time in their life. If parents were to cultivate this and enroll their children in preschool, they could maximize and support that brain activity, setting their children up for success throughout their lives. Other advantages of kindergarten prep span far beyond academics to impact the entire community, both economically and socially. On average, one out of every ten students from middle-income families is held back a grade level, increasing the cost of educating those students and keeping them from progressing at the same pace of their peers. Studies also show that one in every ten male students do not complete high school at all, increasing their chances of ending up in the criminal justice system. Starting school at a younger and more critical age can help students pick up good habits while their brains and cognitive skills are still developing. Altogether, this helps set them up for success later in life. Early education has the chance to change the future not only for children but the community as well. Enrolling children in early education is imperative. It’s here that they will grow and develop at an incredible rate. Early childhood education is shown to set children on a path to academic success, improves cognitive and social development, benefits the community, and increases a child’s chances for success later in life. 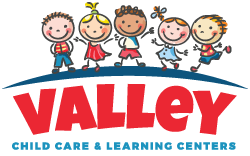 Valley Childcare and Learning Centers offers one-of-a-kind, quality curriculums geared toward the advancement of infant and toddler minds. The staff and leadership team understand the need to prepare children for the future and work with each student to make sure they get the right amount of experience needed to move forward in their program. Call today to enroll your child in our early childhood learning curriculum.